Training and Doctrine Command (TRACOM) is charged with the development and update of all Marine Training Manuals, Classes and MOS Certifications. Under TRACOM are the Marine Branch Directors, experts in their fields that have volunteered to share that knowledge with their fellow marines. They each oversee a College in the UF Starfleet Marine Academy that contains all of the classes needed for the MOS Certifications of the Corps. 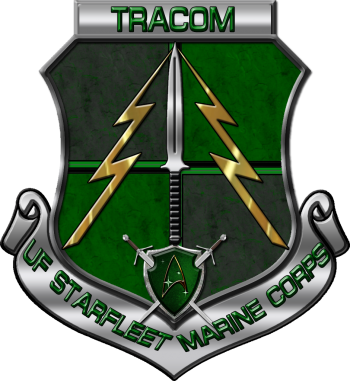 TRACOM also offers its experience to all Chapters that need advice on developing a more authentic setting for their Marines. This page was last edited on 25 February 2019, at 02:16.